Isn’t the Bible full of paradoxes? How then can anyone take it literally? 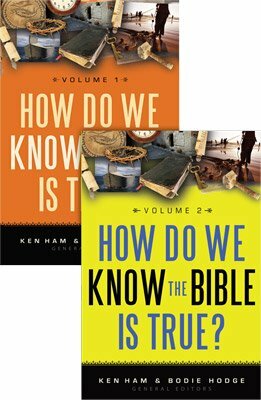 Recently I presented theological questions on this website. I have found that the people of this organization interprete the bible in a very literal way. In response to one of my statements was the following. The main issue is that you are trusting imperfect mans ideas about the world and the Bible rather than trusting a perfect Gods Word. Are you interpreting the Bible correctly? It tells to speak and understand the truth plainly and straightforwardly. This view of my interpretation of the Bible has in me aroused question of your literal interpretation. 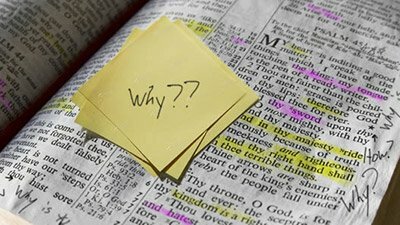 How do you deal with the many paradoxes contained within the words of the Bible if you take all of its words literally? How do you interprete them? Are you aware of The Heildelberg Disputation and the many theses it lists? How can a literal interpretation be completely sound even if the Bible itself says to interprete its words literally? If they are not to be interpreted literally then this puts into question many other things stated on this website. Therefore I ask that you would please respond. Thank you for contacting Answers in Genesis. I think you’ve misunderstood how we interpret the Bible. You incorrectly state that we take the Bible literally, which we don’t, although we understand that the events recorded in Genesis are literal history. Let me explain in more detail to avoid confusion. Rather, we have renounced secret and shameful ways; we do not use deception, nor do we distort the word of God. On the contrary, by setting forth the truth plainly we commend ourselves to every man’s conscience in the sight of God ( 2 Corinthians 4:2 ). All the utterances of my mouth are in righteousness; There is nothing crooked or perverted in them. They are all straightforward to him who understands, And right to those who find knowledge ( Proverbs 8:8–9 ). In other words, we are to read and understand the Bible in a plain or straightforward manner. This is usually what people mean when they say “literal interpretation of the Bible” (this phrase is common among those not well-versed in hermeneutics). I try to use the term “plainly” so I don’t confuse people. I just wanted to write a note of thanks and appreciation for your magazine and the resources you offer to Christians. 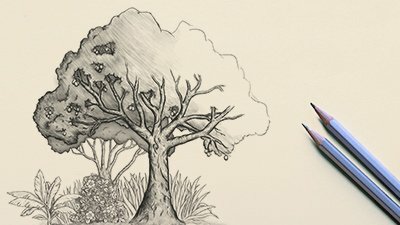 I am currently a student working on my Ph.D. in Psychology at a state university where Christianity is highly ridiculed and the idea of a creator is deemed as a silly fairy tale to be done away with as we “enlighten ourselves”. At the beginning of my doctoral studies I was faced non-believers (particularly professors) posing questions I did not have answers for. I have to admit that although I have never gotten to the point that I did not believe in God, I did begin to think that perhaps intelligent design and the possibility of God making us and then just leaving us to fin for ourselves might be the case. Thank you so much for helping me to clear my mind with logic and to root out all the weeds of disbelief that began to sprout up because of “higher education” from a secular stance. I am ashamed that I was somewhat swayed by anything that was being taught and I truely believe that your resources were used by the Holy Spirit to help take the scales from my eyes. It’s as if a cloud of haze begins to overcome your mind as their “facts” and “prooven data” is presented. It’s such a relief to be able to find the truth and to be set free. I pray for your ministry and pass on the word to others—believers and non-believers alike—when ever I can. Thank you AIG! Reading the Bible “plainly” means understanding that literal history is literal history, metaphors are metaphors, poetry is poetry, etc. 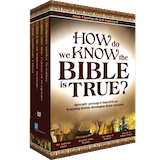 The Bible is written in many different literary styles and should be read accordingly. This is why we understand that Genesis records actual historical events. It was written as historical narrative, as outlined in Should Genesis Be Taken Literally? Reading the Bible plainly/straightforwardly (taking into account literary style, context, authorship, etc.) is the basis for what is called the historical-grammatical method of interpretation which has been used by theologians since the church fathers. 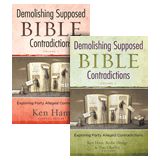 This method helps to eliminate improper interpretations of the Bible. The fool says in his heart, “There is no God.” They are corrupt, their deeds are vile; there is no one who does good. ( Psalm 14:1 ). So the context helps determine the proper interpretation—that a fool was saying this. This passage employs a literary device called a simile. Here, God compares a day to a thousand years in order to make the point that time doesn’t bind Him, in this case regarding His patience. God is not limited to the time He created—that would be illogical. Also, this verse gives no reference to the days in Genesis, so it is not warranted to apply this to the days in Genesis 1. When read plainly, these verses indicate that God is patient when keeping His promises. At any rate, I pray this helps to clarify why we advocate reading and understanding the Bible in a plain or straightforward manner, and why Genesis should be understood as actual history. 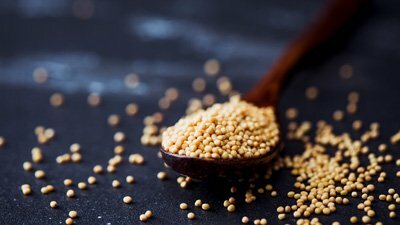 Are Mustard Seeds the Smallest or Was Jesus Wrong?